As a Catholic School in the Edmund Rice Tradition, we are challenged to serve the needs of each person, providing teaching and learning experiences that are authentic, relevant, dynamic and creative. Our commitment to providing the best possible holistic learning environment that caters for the unique and varied learning needs of all students is of the highest priority. Through 2018, teaching staff have continued to research, collaborate and reflect on strategies designed to focus on ongoing improvements in student learning. As we approach the end of 2018, I would like to provide you with a brief summary highlighting some of the focus areas of our planning. Providing teaching and learning experiences that are authentic, relevant and engage students in their learning has provided the basis of much of our deliberations. Our work has been guided by the research of Professor John Hattie. The evidence that has been gathered has assisted us in establishing focus areas for ongoing improvement in our teaching to ensure that we continue to foster a learning environment that encourages students to be aspirational and independent in their learning. Research conducted throughout 2018 has assisted in the development of a strategic professional learning program that focuses on the three areas of, engaging teaching strategies, quality assessment and effective feedback. In 2019, each Key Learning Area will focus on developing and sharing best practice approaches to these focus areas to ensure that teaching and learning is contemporary, creative and engaging, promoting critical thinking and collaboration. Improving student literacy continues to remain a focus. A range of strategies are currently being developed to inform our whole school Literacy Plan. A key component of this plan is the establishment of a teaching position that specifically focuses on the explicit teaching of literacy skills in a team teaching environment across all Key Learning Areas. Improving skills in reading, writing, spelling, punctuation and grammar are essential elements in learning, in all key learning areas and the additional focus will support the learning outcomes of all students. Creating learners that are independent, critical and reflective thinkers also remains an ongoing focus. Throughout 2018, students worked with teachers on developing and evaluating their own learning goals and this work will continue into 2019. I encourage all parents to engage in regular conversations with their son’s regarding their learning goals. Educational research resoundingly supports the importance of parent engagement in their son’s learning as a positive influence on their educational outcomes. A learning environment in which all students feel safe and supported is of paramount importance. 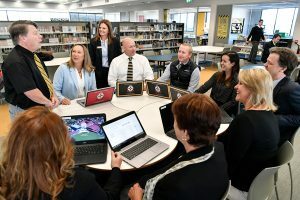 A range of strategies designed to promote student well-being are continuing to be implemented and will be supported by parent forums currently being planned for 2019. I look forward to providing you with more information regarding our whole school approach to student well-being in future newsletters. Members of the community contacted the College on two separate occasions over the last week to inform us of the outstanding actions of two of our students. The first incident involved a young man who suffered an epileptic seizure while waiting for a bus. On having the seizure, he fell to the ground hitting his head on the pavement. 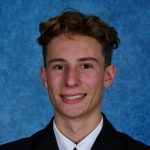 A number of St Edward’s students witnessed the event and Sebastian Waugh of Year 11, took control of the situation. The young man’s head wound was bleeding profusely and Sebastian managed the bleeding, placing the young man’s head on his bag and remaining with him until the ambulance arrived. The young man was transferred to Westmead hospital where he remained for several days, due to swelling on the brain. The treating Doctor’s explained to the father of the young man that Sebastian’s quick actions helped save the life of the injured son. 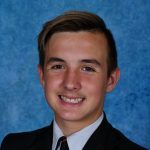 While surfing at Avoca Beach, Riley Seers of Year 8 was involved in rescuing a young girl who had fallen off her surfboard injuring her head. Riley was able to assist the girl onto his surfboard and paddle into shore. Riley then assisted the young girl to the Lifeguards’ First Aid room where she was treated. Congratulations to both Sebastian and Riley for their outstanding efforts. Thank you to the many families who completed the online survey to provide feedback to inform the Building Master Plan. The information gathered in this survey will be analysed in conjunction with the feedback from staff, students and the College Board. 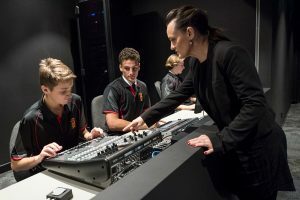 The information received supported our commitment to ensuring that the facilities provided at the College to assist boys in their learning remain a high standard. 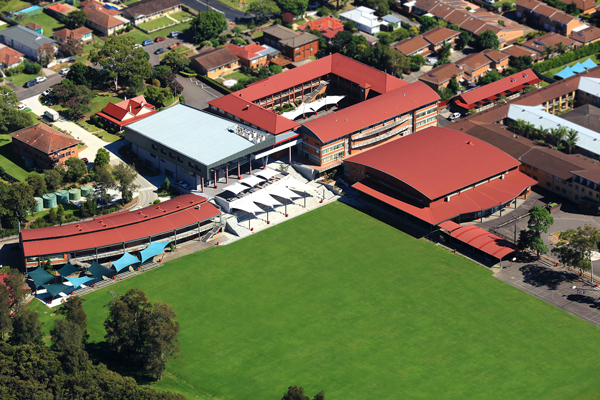 Some areas that were suggested by parents requiring development include: a modernisation of our general teaching classrooms, the establishment of commercial kitchens to support the delivery of Hospitality in senior years, upgrading of the older science labs and the continued roll out of air-conditioning throughout classrooms. These suggestions are in line with the feedback received from staff and students and are anticipated to be included in the ongoing improvement of facilities at the College. The Year 12 Graduation was held in the Edmund Rice Centre on Friday 16 November. This event was a wonderful celebration for the graduating class and their families and the culmination of their time at the College. 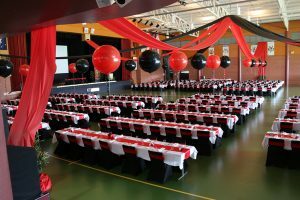 The Edmund Rice Centre is converted into a magnificent ballroom for this event through the tireless efforts of many staff from St Edward’s College. It is always amazing to see how grown up the young men and their partners are on the night, with a highlight of the evening being the mother and son dance. The event would not be possible without the tireless efforts of staff at St Edward’s who co-ordinate the event. A special thank you to Ms Wendy Weir the College’s Property Manager and her team for their work in preparing the ERC and to Mr Eamonn McCauley the Year 12 Co-ordinator and the Graduation Committee for their organisation of the event. The Higher School Certificate Examinations concluded last week. Year 12 students will eagerly await their results, which will be made available to them on Thursday 13 December via email and text message. All Year 12 students are invited back to the College on Monday 17 December for the annual BBQ to celebrate their results. Examinations are currently being conducted in Years 7-10. These examinations are designed to allow students to demonstrate their knowledge and understanding of the content covered in Term 4. In some subjects, this will be the final major assessment for the year and will contribute significantly towards their final grade. A copy of the examination timetable for each year group is available on the College website. The St Edward’s College Board requests interested members of the community to submit an expression of interest to fulfil the role of Board member. School Board members are volunteers working collaboratively with the Principal in the stewardship of the College within the context of EREA. Members of School Boards are chosen to meet the expertise requirements of the Board, not as representatives of any body. The Board is currently seeking members who have expertise in the areas of building or project management. Any person interested in being considered for a position on the St Edward’s College Board is asked to complete an expression of interest form that is available below.